Within this thesis, a new experimental apparatus is presented, which was specifically designed for optical frequency metrology of highly charged ions. The necessary cooling and quantum logic protocols are based on coherent control of beryllium ions. 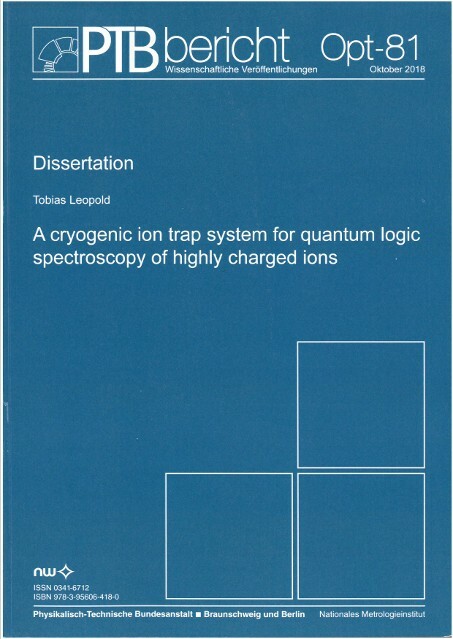 A cryogenic ion trap system was designed and set up including a novel Paul trap adapted to cryogenic operation. The apparatus was optimised and characterised regarding mechanical vibrations and low temperature performance.